To be clear, the Willamette Valley is cleaved between Oregon’s Cascade Mountains and the Coast Range. It is more than 100 miles long and spans 60 miles at its widest point, covering almost 3.5 million acres. And it was named the 2016 Wine Region of the World by the prestigious Wine Enthusiast magazine. You’d think it would be hard to miss. Yet, that very magazine apparently got the map wrong. From their “Special Edition Wine Lovers’ Guide to the Pacific Northwest,” Wine Enthusiast displays a map of the state with an insert labeling the Willamette Valley as a region extending from Portland to just south of Salem. The magazine appears to overlook the fact that the Valley extends from Portland to Cottage Grove, south of Eugene. In fact, as the river goes, it is the reverse: The Valley begins in Cottage Grove with the Willamette River draining north to Portland. 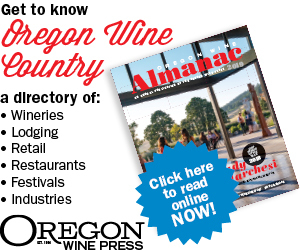 When queried, Wine Enthusiast agreed that labeling the insert as the Willamette Valley may have been “confusing,” and that they meant it to designate the AVAs in the Valley. But how does that explain that they didn’t feature inserts for British Columbia, Idaho or Washington? Or that the features of pioneer vineyards and chic wineries were limited to their northern Valley insert? Wine Enthusiast is not the only publication to get it wrong. A ubiquitous folding Oregon winery map distributed in stores and gas stations throughout the state some years ago had the same misrepresentation, ending the Willamette Valley in Salem with a small corner, looking much like an afterthought, calling the southern Valley, “Wineries of Lane County.” When I contacted them, they responded with surprise that the Valley extended south of Eugene and changed it the following year. I can understand how metropolitan Portland and Salem area wineries and vineyards garner most of the attention, tourists and razzle-dazzle, with six times the number of vineyards and five times the number of wineries than the south, but I suggest that in the South Willamette Valley, we are the hidden gems that have every bit the quality, hospitality and razzle-dazzle as our northern cousins. Wines from the South Willamette Valley have been named among the “Top 100 Wines in the World,” have been served during U.S. presidential dinners, and one of the largest wineries in Oregon, King Estate, has put Oregon’s Pinot Gris on the world stage. 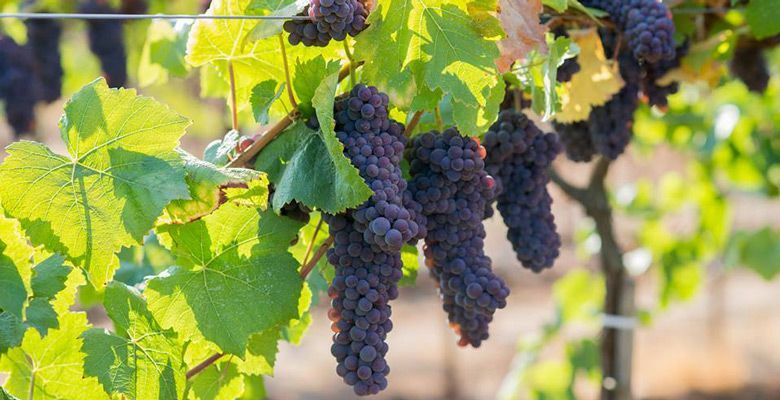 Here in the South Willamette Valley, we grow exquisite Pinot Noir, Pinot Gris, Chardonnay and Pinot Blanc, among others. We have little traffic, scenic drives, and owners and winemakers you will probably meet because they’re usually found working their vineyards in boots, not suits. Our wineries range from rustic and intimate to grand and urban. In fact, one little group of wineries between Corvallis and Eugene to which we belong is called the Prairie Mountain Wineries (prairiemountainwineries.com), a collaboration of neighborhood wineries spaced within a few short miles of one another. We are owner-operated vineyard and tasting room estates that support each other with brochures, tasting schedules and seasonal events. In a single day, a visitor could tour all of us, spending more time at the wineries than driving to them. In the South Willamette Valley, there are more than 73 wineries and 120-plus vineyards, all with stories to tell from the pioneers with old-vine wine productions to the hot shots of a new generation ready to make their mark. We may be the hidden gems of the Willamette Valley, but we are no longer content with being hidden or left out. And as Wine Region of the World, let’s make sure we honor the geography and draw the Willamette Valley map as it should be.